It's not exactly known where in "the Region" Banana Gum was discovered, but it was in Lake County, Indiana. Neighborhoods that once housed the families of the American steel worker in cities like East Chicago, Whiting, Hammond, Hobart, Merrillville and Gary are all located in Lake County. 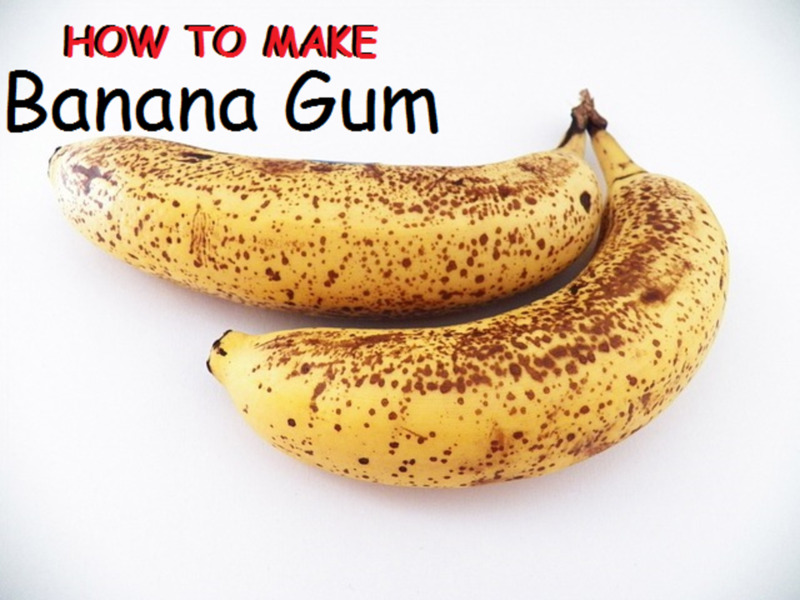 It is probably in your BEST interest to NOT attempt to make your own Banana Gum! 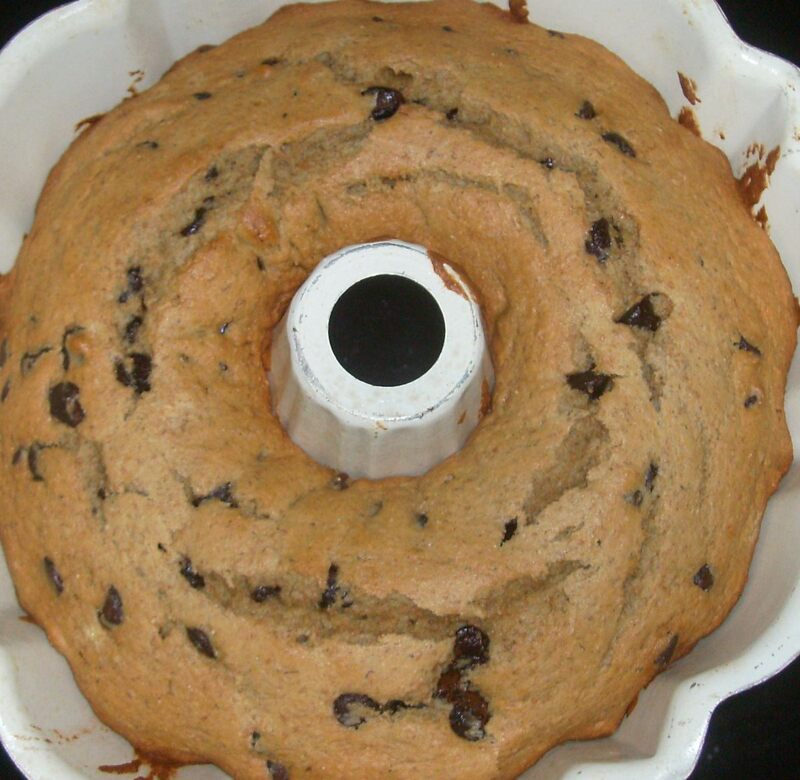 What intrigues people to try Banana Gum is that it's so easy to make. Plus, it's just a banana and a piece of chewing gum - what's the harm in that? It seems harmless, but people have claimed to have experienced LSD side-effects from chewing gum that's been wrapped in a banana. After a 2-week waiting period, chewing a piece of chewed bubble gum can turn into an "acid trip" like experience. Would you try 'Banana Gum'? "It's probably NOT in your BEST interest to try Banana Gum." It's not really known exactly everything there is to know about chewing Banana Gum. No 'official studies' have been performed on Banana Gum and its use. However, it is strongly recommended that nobody ever try Banana Gum, although no deaths from its use has ever been reported. If you don't know - now you know! 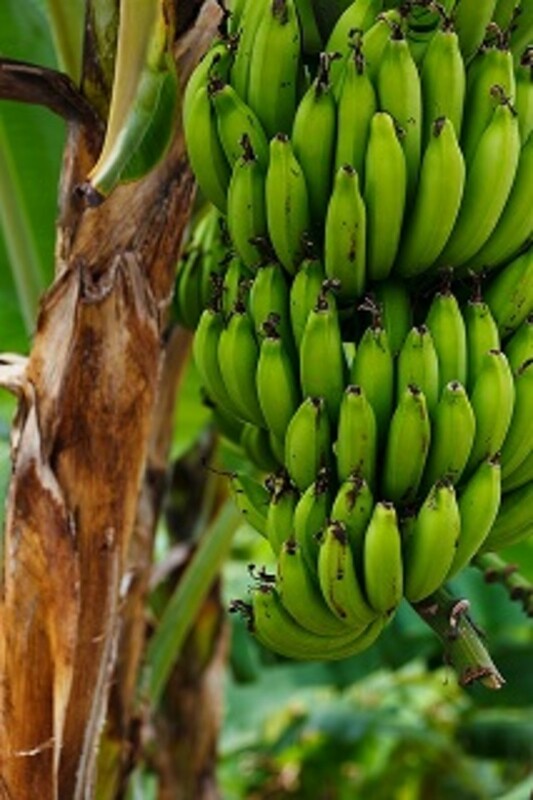 It's been guessed that one of the reasons that Banana Gum is called 'Banana Gum' is that the gum will make you "go bananas". The Banana String is that brown string attached at the bottom of the banana peel. 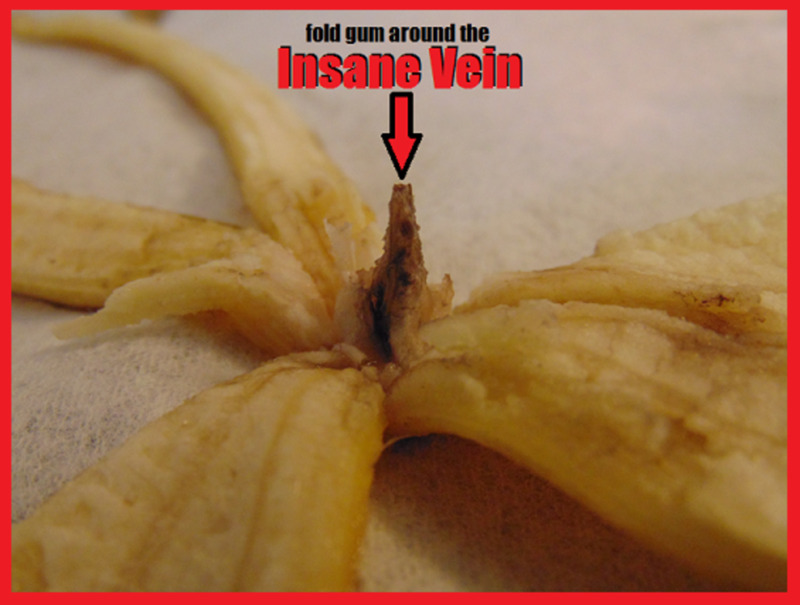 When the banana is removed the 'Insane Vein' is exposed and can be seen at the bottom of the banana peel on the inside. Any brand of gum that is recommended by the American Dental Association will work. 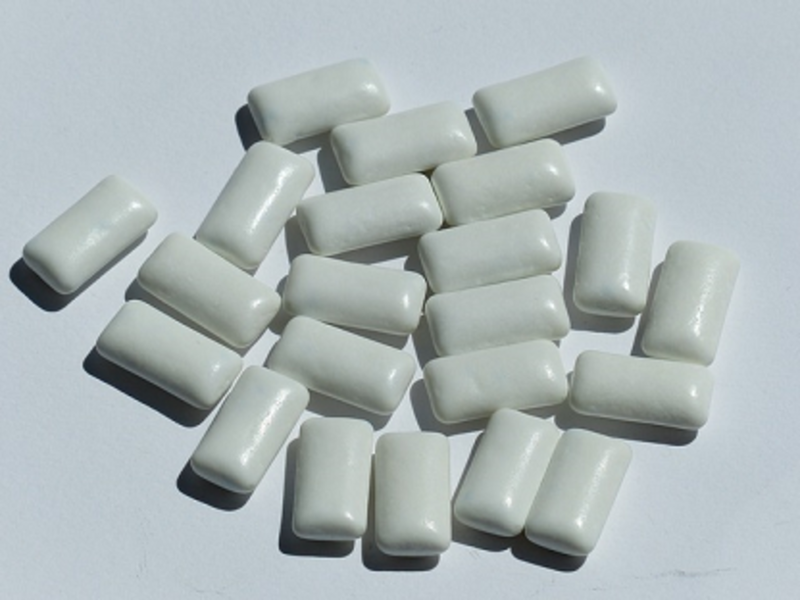 Other brands of gum that contain flavors and a higher sugar content can be used as well. However, an extended amount of time of chewing will be needed to remove these flavors & sugars. 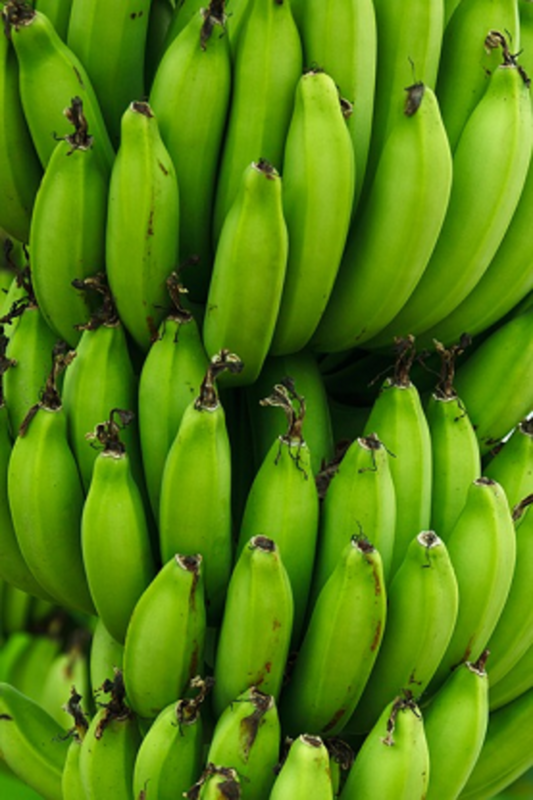 A green banana is recommended because a yellow banana will give variable results. When removing the banana from the peel. Refrain from breaking the banana at the top of the peel. To remove, make a slit with a knife at the side and remove the banana from the peel that way. Remove the banana AFTER you've chewed the gum completely. Other brands may be used but it may take longer for flavor and sugar to dissolve, possibly deactivating the affects. When chewing, make sure the gum has lost all flavor. If this is NOT done it may possibly deactivate the affects. ADA recommended gum will lose its flavor faster than the more flavorful brands. The 'Insane Vein' is located at the bottom of the peel. 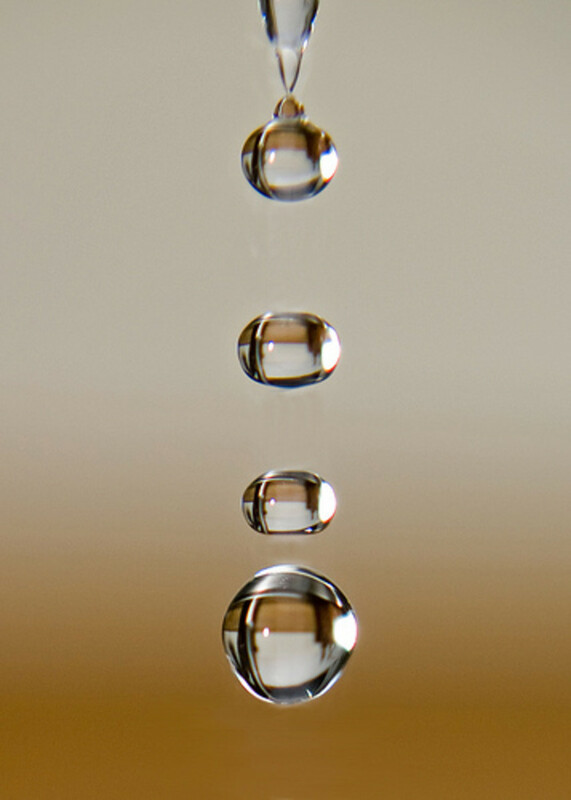 Looks like a small brown string. 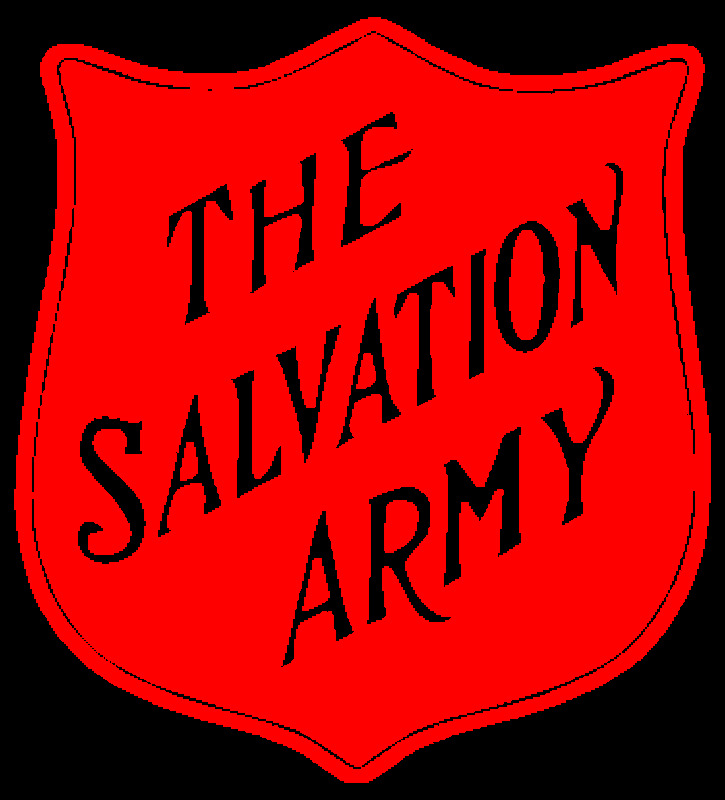 Try not to damage the Insane Vein and try not to handle it with your bare fingers for this will cause contamination and prevent any hallucination affects. When applying the chewed gum to the Insane Vein, wearing latex gloves will help prevent contamination. Wrap Gum Around Insane Vein. The least amount of time you spend wrapping the gum around the Insane Vein - the better. The Insane Vein is very fragile and the slightest damage to it will prevent its hallucinating affects. Wrap banana heavily with aluminium foil. Place the banana back in its peel, wrap in foil and hang banana from the top of the peel in a dark (damp preferably) area. The banana should not swing, therefore make sure the banana does not get disturbed. Swinging will slow the incubation process. Also, make sure that there isn't any light shining on the aluminium foil - especially sunlight. Once you have completed the above steps, refer to the table above for the variety of affects you can apply with Banana Gum. The INSANE VEIN of the banana is extremely fragile. 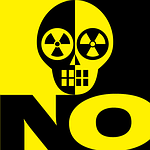 Make sure INSANE VEIN is clear of any debris. This was written for entertainment purposes only. Can you imagine what it's like to chew a piece of gum that's been sitting at the bottom of a banana peel on the inside with an old banana on top of it - for two weeks? Well, if you can...it is that gross. But is it worth it? Most people DO NOT believe it is - for what it's worth. 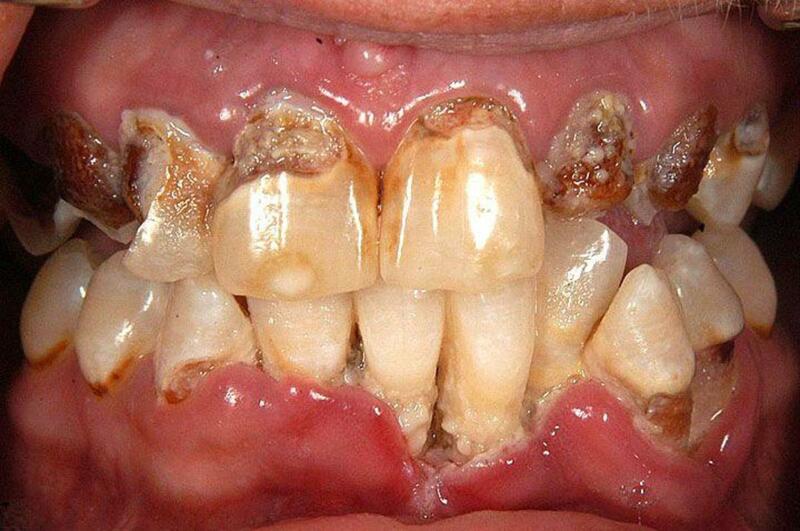 Meth Mouth and Dental Health; If You Have Meth Mouth You Should Seek Treatment Asap.